Step up your color game with our new Loaded Bolds collection. Hydrating matte finish for long-lasting wear. Single-stroke for easy application. Now available in 20 bold shades. They can never call you basic in blue. There’s more than one way to break the mold. Learn how to rock deep red with these four Loaded Bolds Looks. What’s more bold than red lips and a baseball cap? Amp up your casual look with a little dose of Dynamite Red from Loaded Bolds. Red is posh, polished and perfect. And now, it’s bold. Paint your lips in Dynamite Red for a vibrant, new look. Who said you can’t do lips AND eyes? Go bold, or go home. Pair a bronze smokey eye with dark lips for a daring look. 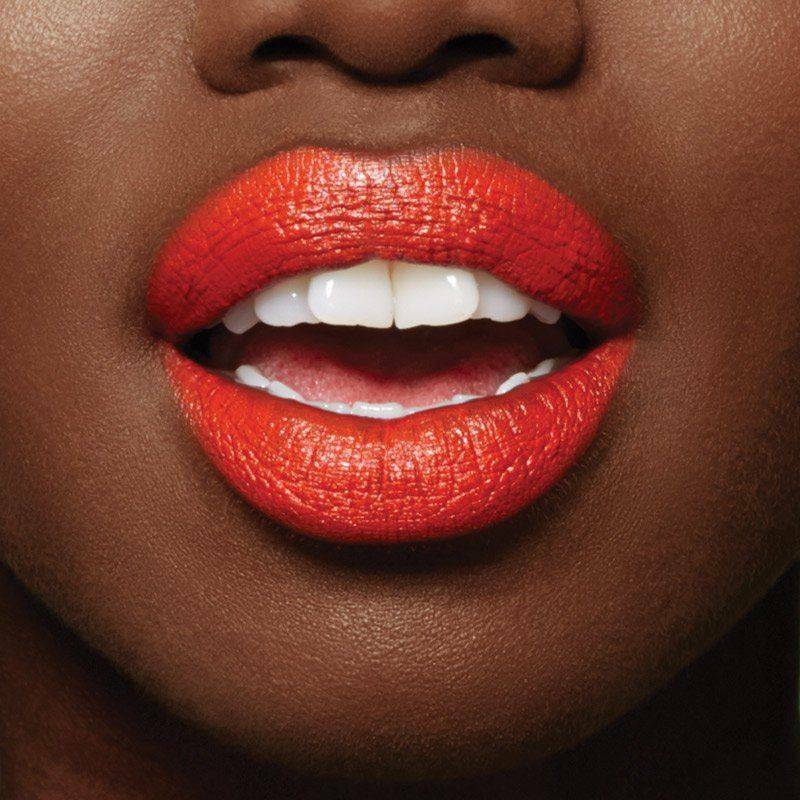 Step up your lip game with a kiss of color from Loaded Bolds. Just one-stroke of color intensity can transform your entire look from dressed down to daring.